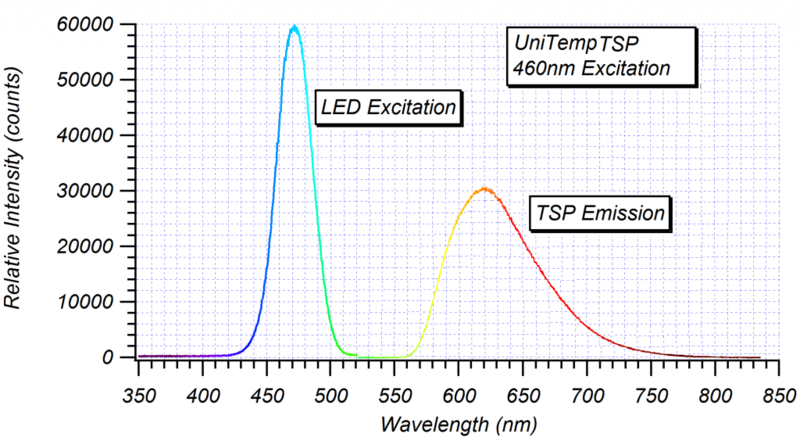 UniTemp is a single-luminophore, single application temperature sensitive paint. The TSP may be applied to most surfaces, but a screen layer such as SCR or FB is recommended for plastics and rapid prototyping resins to protect the surface from solvent damage. A desirable feature of UniTemp is ease of application. Simply shake the can and spray the surface. The result is a single coat application paint that may be applied directly to most materials. 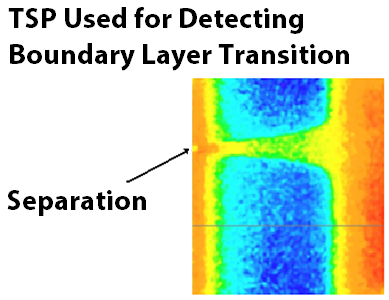 UniTemp is an effective quantitative TSP. It is also effective in compensating for errors due to model displacement and deformation. 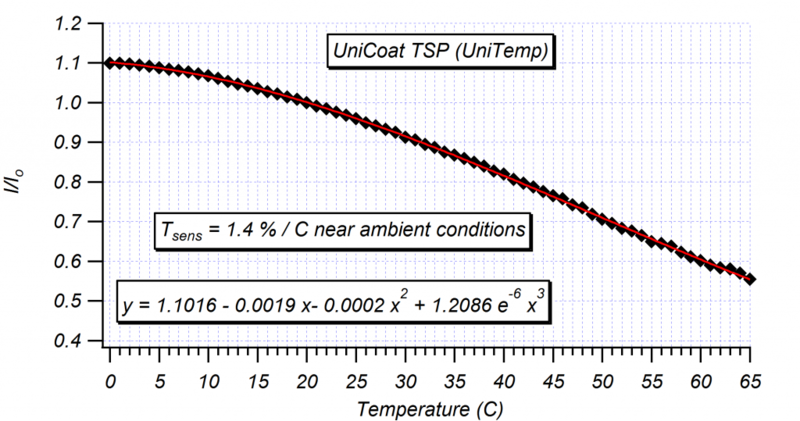 UniTemp is recommended for both advanced TSP users who seek quantitative data and users who seek to gain experience with temperature sensitive paints. CCTR is a urethane based temperature sensitive paint in a clear coat binder. It is easy to apply with a spray gun. 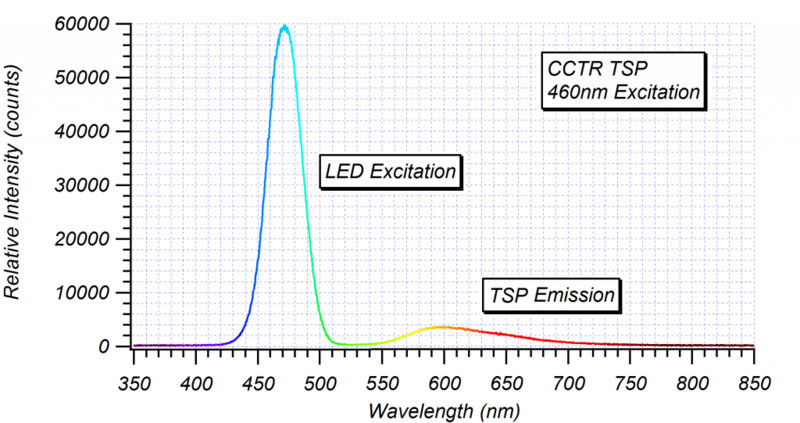 Peak absorption wavelength for CCTR is near 470-nm. With a peak emission around 620-nm, the excitation light can easily be separated from the emission with an optical filter. 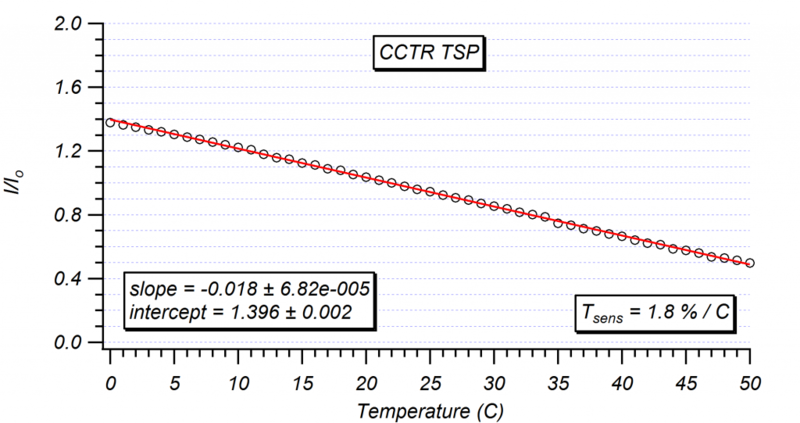 CCTR offers slightly better temperature sensitivity than UniTemp TSP.